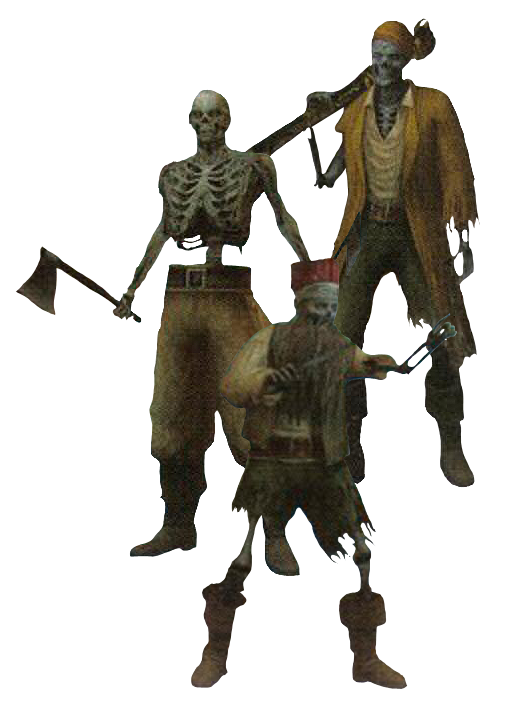 Loyal to Barbossa, the Undead Pirates were part of the munity against Jack and also the theft of the Aztec treasure. As such, they are cursed into damnation, and their true cursed forms can only be seen under the moonlight. Sora's Keyblade is able to kill them when they are exposed for what they truly are. These pirates are often encountered as field enemies scattered all over Port Royal.